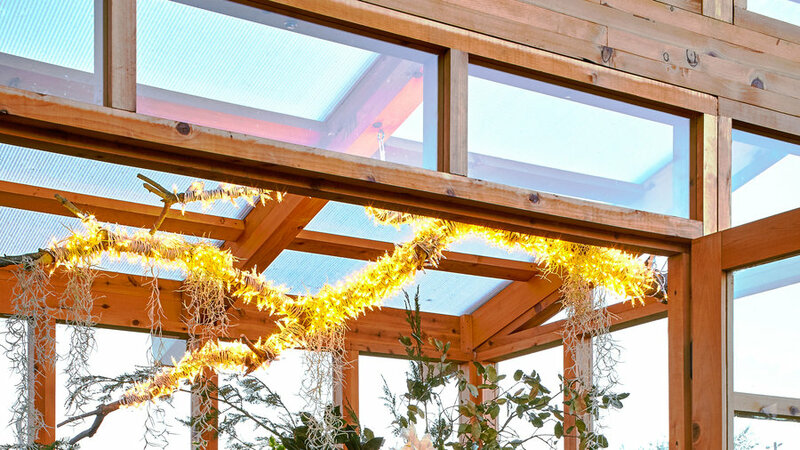 Homestead Design Collective transformed the greenhouse at our Cornerstone Sonoma Test Gardens into a winter wonderland teeming with Christmas greenery. 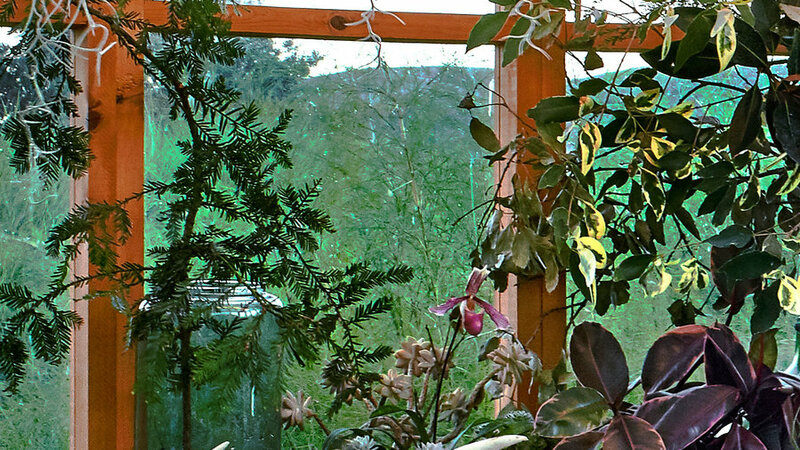 Here are five ways to get the look of a lush, evergreen forest at home. 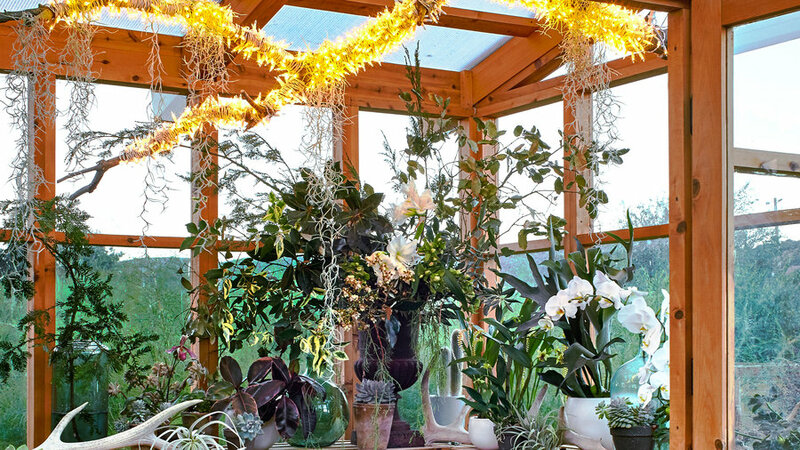 Wrap string lights around a branch and drape with Spanish moss. 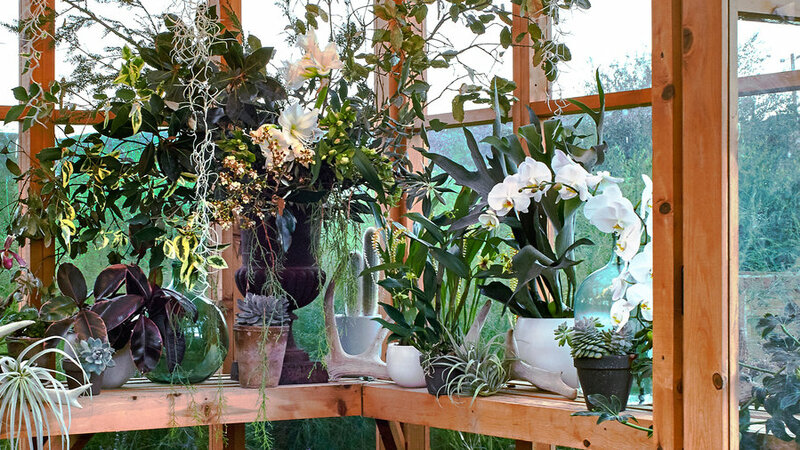 Use winter bloomers like amaryllis, camellias, and orchids in arrangements. 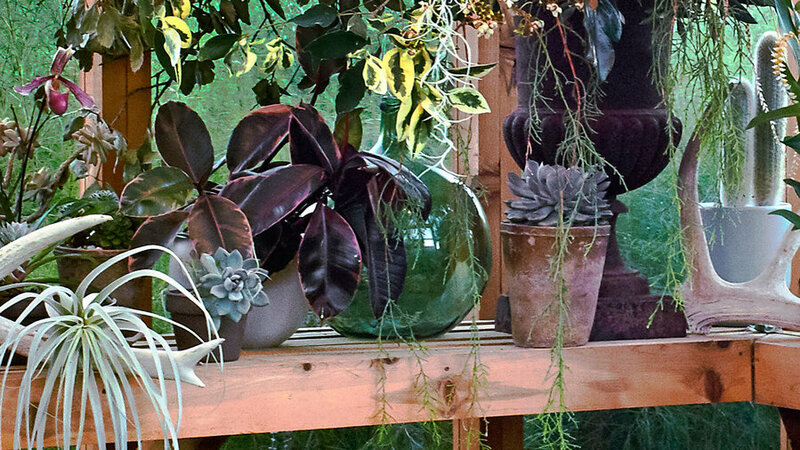 Accent with orb-shaped glass vases—they look like oversize ornaments. 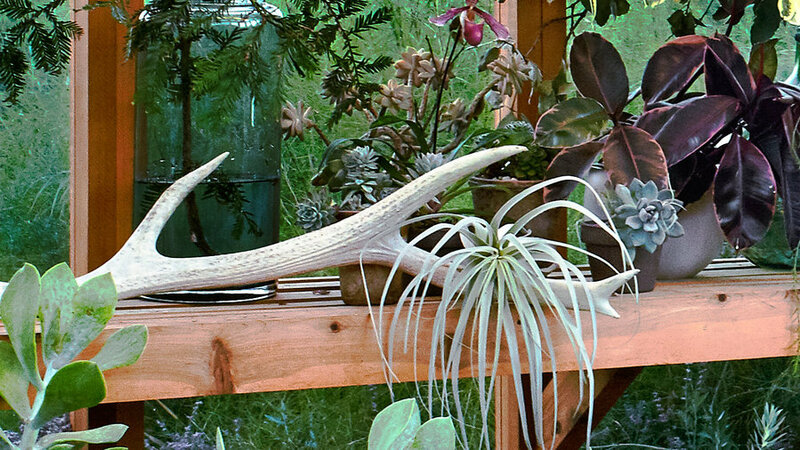 Nestle air plants into antler nooks. Snip a coniferous branch for long-lasting greenery.